Mostly a gaming store, they do sell manga. 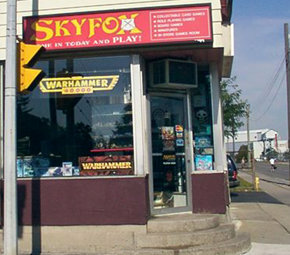 Brockville is a very small town between Kingston and Cornwall and this is the comic, video gaming/board gaming store in the region. 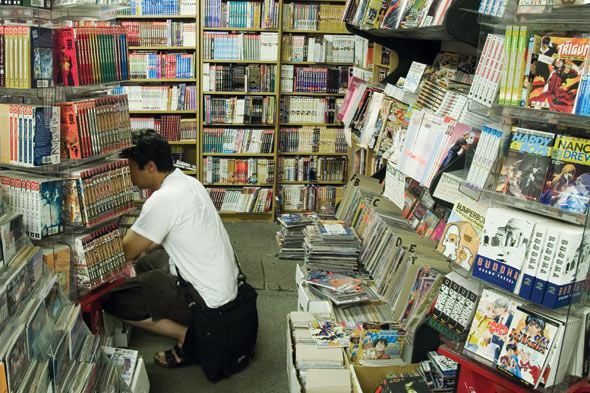 There is a selection of manga, TPB’s/GN’s, new release comics and back issues. Most of the comic sales are done via pre-orders. A selection of Big 5 new releases, TPB’s/GN’s and back issues. This store has been visited April 2012. 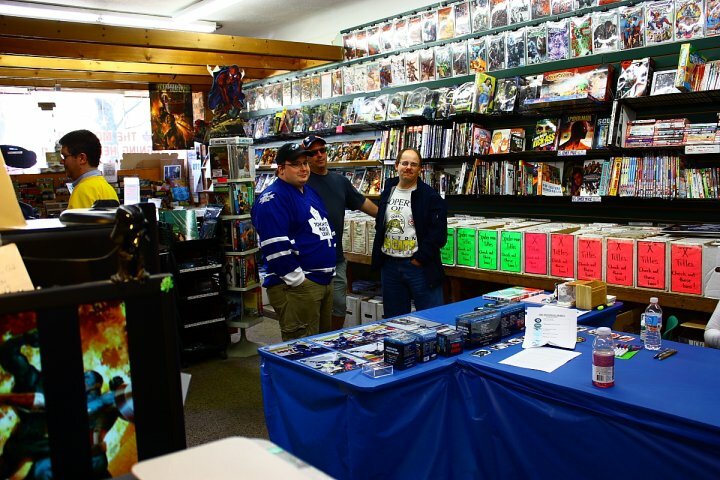 Uncanny Comics is back and now located in the same building as Swifty Cash at 531 Park Street. This store has been visited. 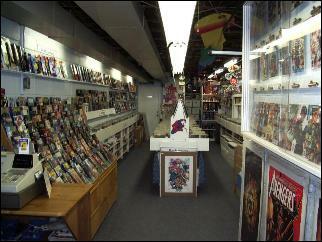 An assortment of new Big 5 comics publishers, assorted TPB’s, high grade collector comics and a variety of back issues. 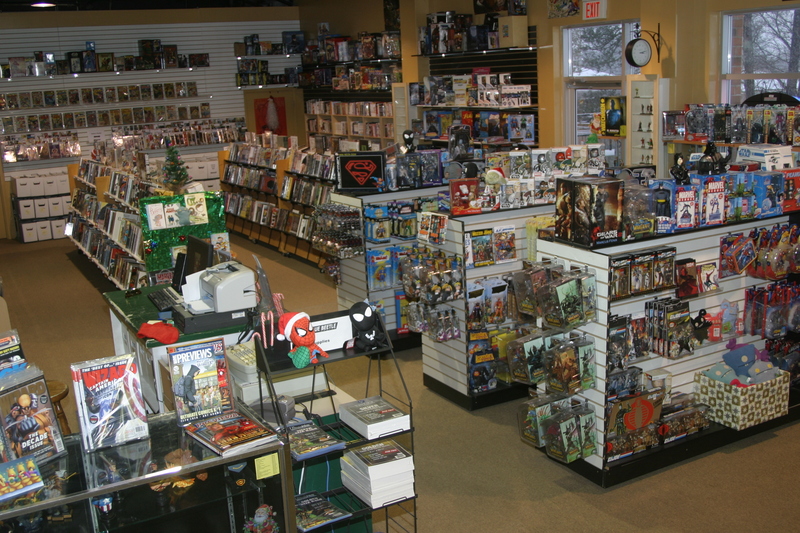 A cash only business that deals in a wide range of odd trinkets, including new release, TPB and back issue comics. 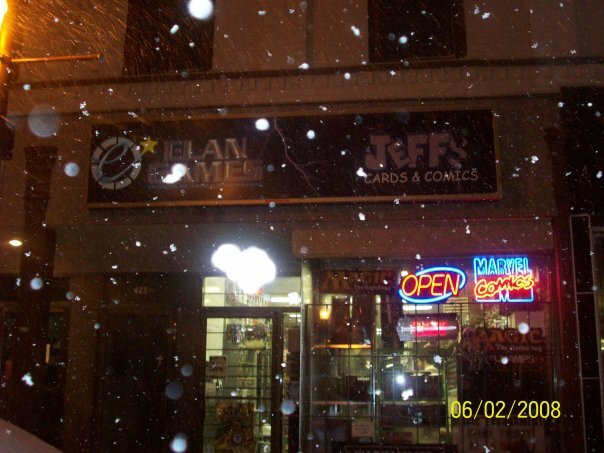 Confirmed on January 26, 2010 – Used book store with some new releases, some back issues and a surprising amount of Marvel/DC hardcover TPB’s. Very little comic content. Special orders only. This location is nicer than the Ajax store. 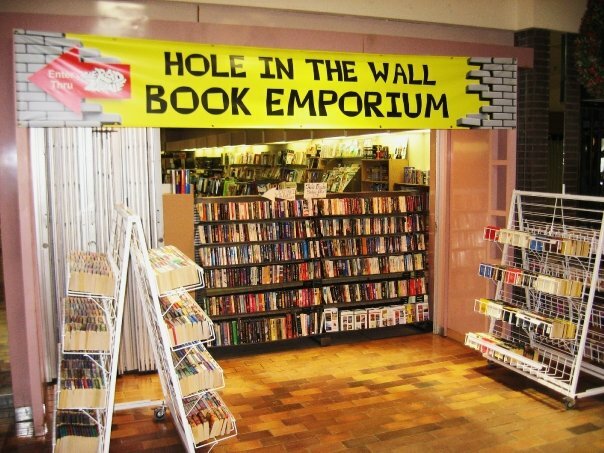 Specializes in used novels with comics as a product line. The stock new Marvel, DC and Image comics books and trades, with approximately 40 long boxes of recent Marvel, DC, Image back issues. 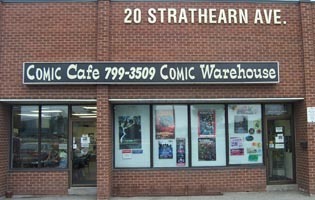 This is a gaming store which stocks some comic material. Small selection of manga and Marvel, DC, Image, Dark Horse trades. 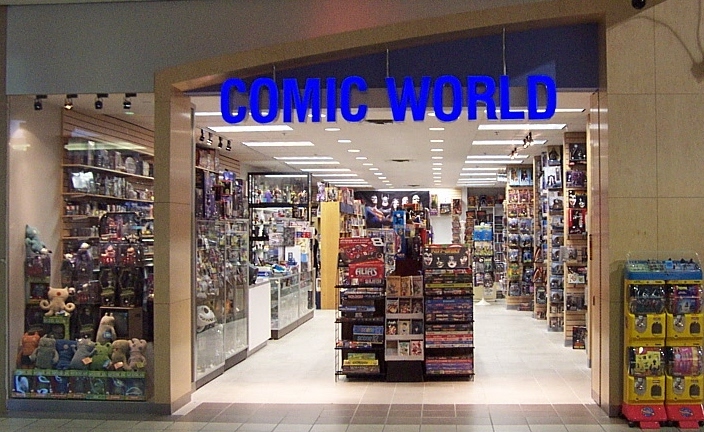 This location no longer stocks comics. They do maintain a Diamond account and will special order books for accounts only. Opened in September 2009, this store has great potential. Lots of modern back issues. Stock of new releases and trades. Status: moved into Plane View Hobbies, the House of Comics is in the back. Visited and Confirmed on April 20, 2011. 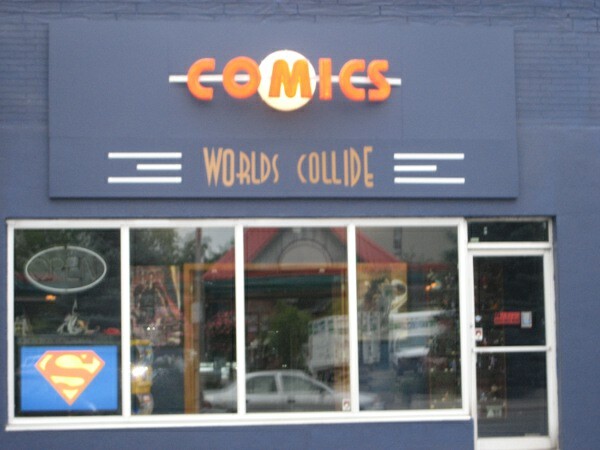 Confirmed on January 26, 2010 – Used book store on main floor with comic store in basement. 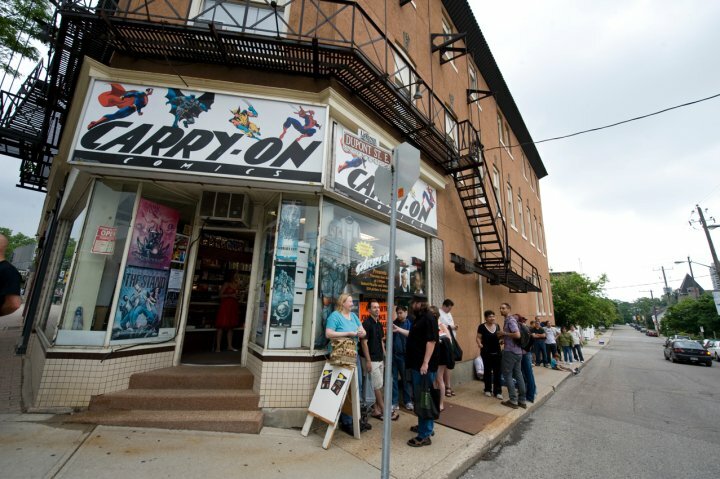 Carry mainly Marvel/DC new releases and TPB’s, have 20 – 30 long boxes of back issue selection. Open and Confirmed April 21, 2011. This store has been visited. 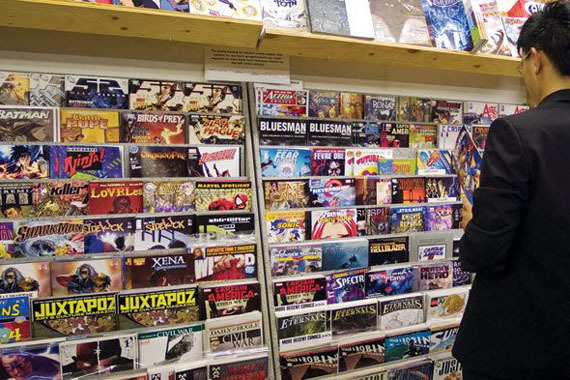 This store stocks mostly big 5 new release comics, but there some smaller press gems in the store. 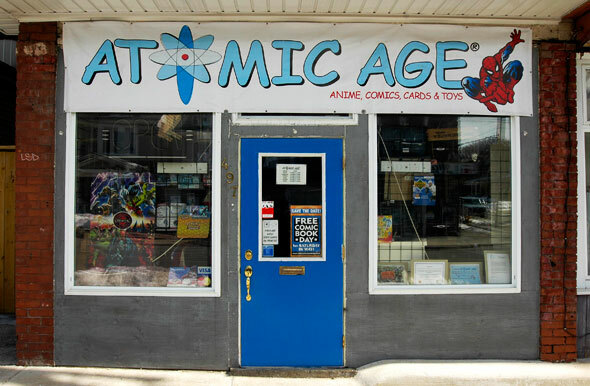 They sell action figures and some games, but for the most part the shop focuses on back issue comics as there were about 100 long boxes in this small space (I’d guess 500 – 600 sq/ft). There wre some trades/GN’s, including some indy comics; interestingly, all of these books were bagged. 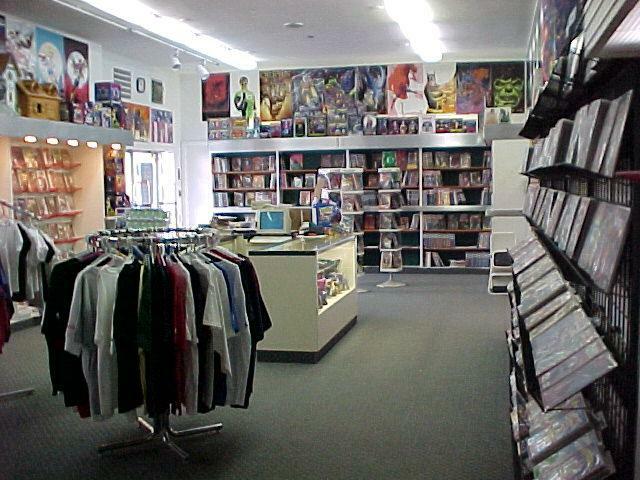 Back issue comics and remaindered TPB’s This store has been visited. Announced closing April 30, 2015 and will be orders only. New issues comics, back issues, some vintage comics, novelties. This store has been visited. Excaliber remains open! Despite publicly announcing a pending closure, the store righted itself. Now located on the second floor of the same location. a selection of recent Marvel / DC back issues. 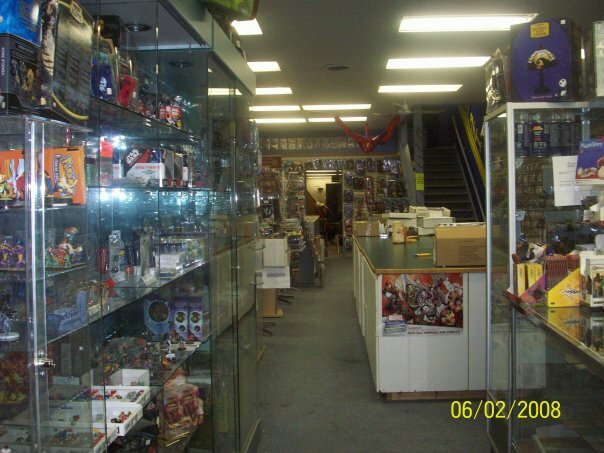 This is more of a gaming shop, with a selection of Star Wars & Star Trek pop-culture items. Stock new release comics from the Big 5 publishers. Deep TPB/GN inventory for Big 5 publishers. Small selection of smaller publishers, manga. Nice selection of children’s comics. Have about 40 long boxes of back issues (nothing is priced); mostly recent books, but a selection of older, collector comics. This store has pull lists but only stock minimal comics for walk-in purchase. Very minimal. The owner calls the shop a clubhouse, not a store, and based on this I agree. 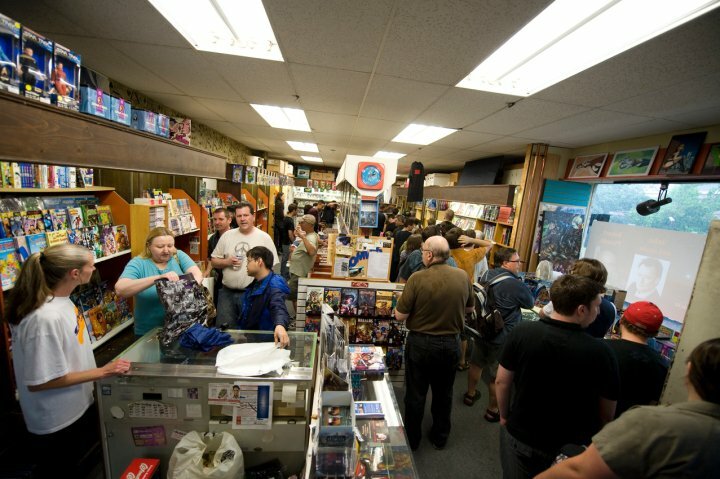 Millennium is a place to play card games and board games and heroclix games, intended to hang out in the clubhouse, but not a retail outlet. A decent store. A small selection of TPB’s compared to another shop in the area. Friendly ownership. Nice community outreach to provide comics in Christmas baskets. Some back issue selection. There is a $5 cover charge to enter this business. Seriously. Besides that bit of oddness, there are live animals kept in the shop. And not cats or dogs, either. There is a crocodile, a python, 2 lemurs and an albino kangaroo. I’m not kidding! 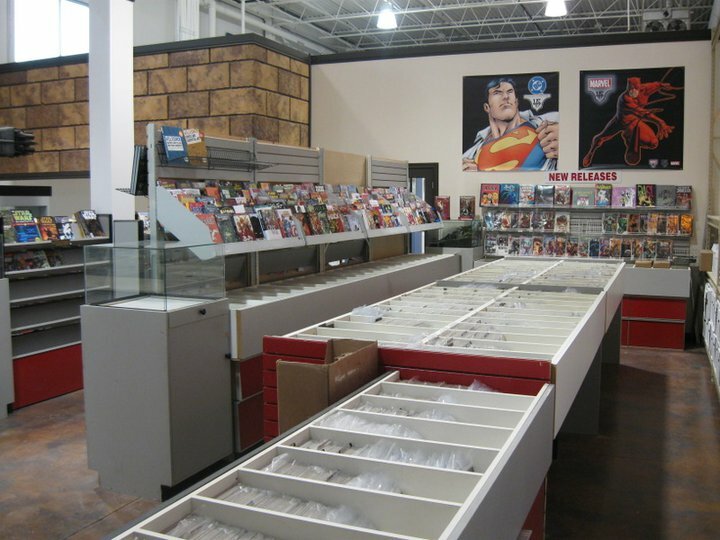 A visually impressive store that would fit into the Las Vegas strip or even Times Square, Heroes is unfortunately short on comic book inventory. 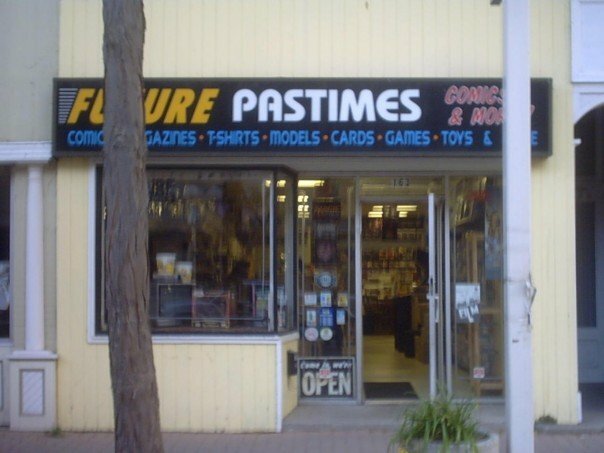 If you are looking for 90’s to 2010 recent back issues, this place might work, but there wasn’t much else. Action figures, though, this place is awesome. I always refer to Silver Snail as “Toronto’s best action figure store”, as a snarky way of saying that they aren’t Toronto’s best comic book store, but Heroes has the Snail beat for action figures. 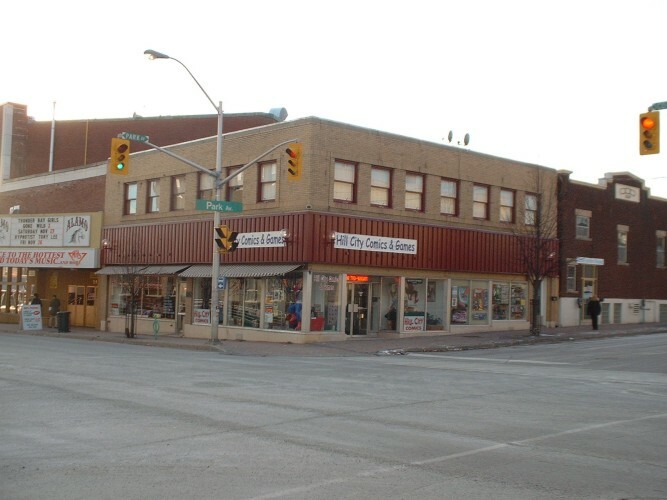 The Book & Net Cafe, North Bay – Unable to located. Presumed Closed. Removed from listing. Local Friendly Gaming – removed from listing. 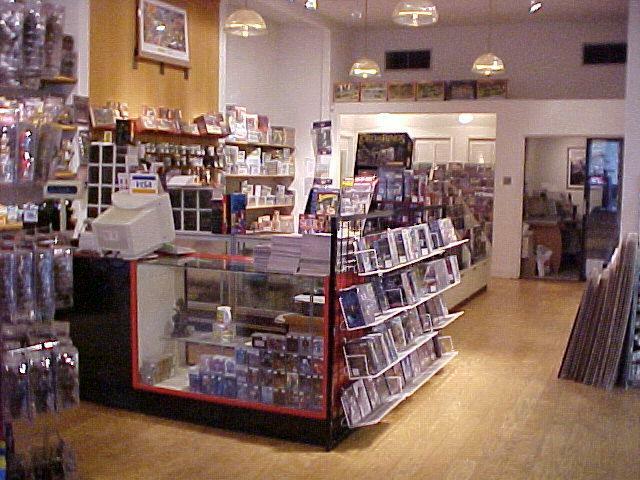 Store was visited: game shop, no comic inventory. 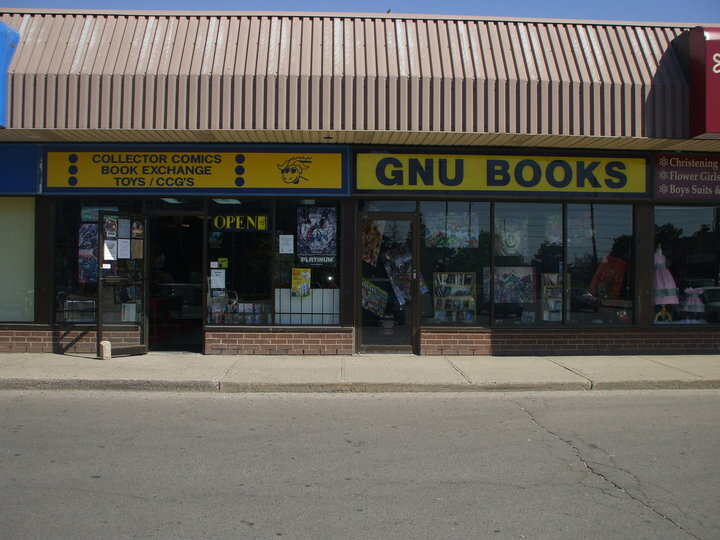 Gnu Books Ajax is closed. Store was visited on March 13th and they were packing up and moving out. 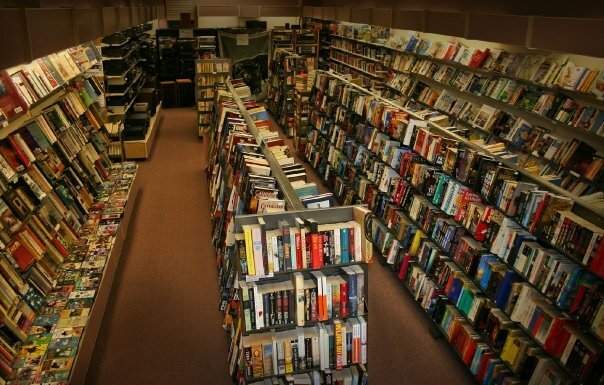 The Book Vault – removed from listing. Stopped carrying comics. After over 20 years in business it’s time for a sabbatical ….an opportunity to pursue other challenges and interests. As a result I’ve decided to permanently close the store this fall. Consequently I will have a inventory clear-out SALE starting immediately…Details to be posted in the store. 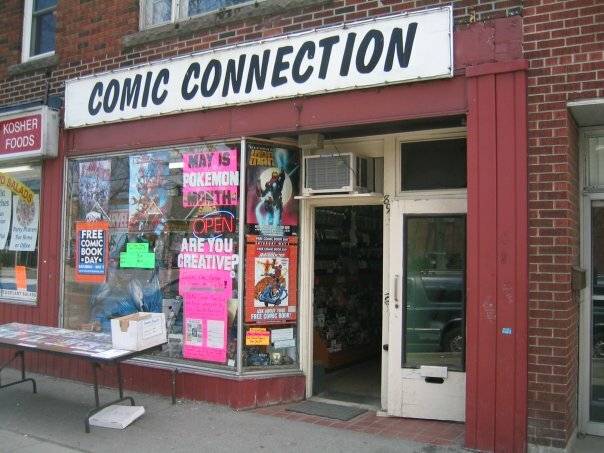 I am open to offers for the entire inventory/business contents etc etc….Requests should be made in person…Our store is located at 742 Bathurst St. in Toronto (just south of Bloor St. and the Bathurst subway station).